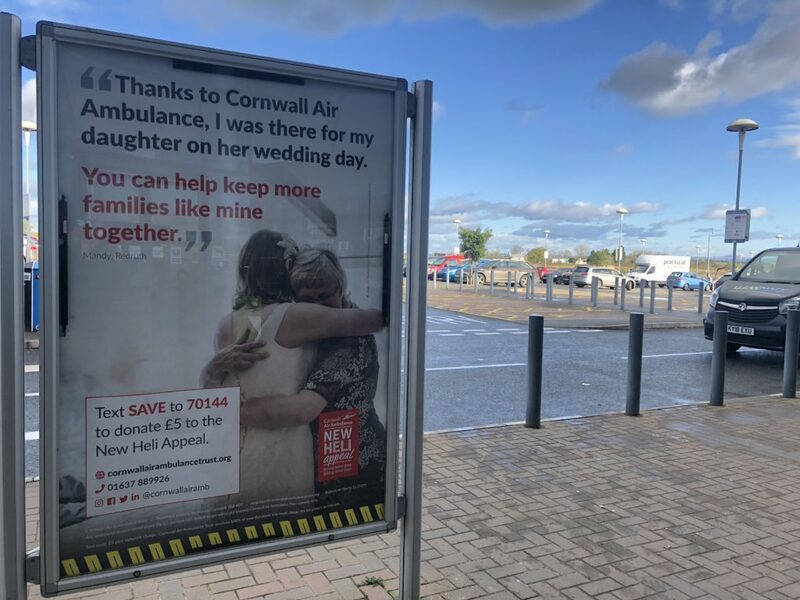 The Cornwall Air Ambulance Appeal is in full force at the moment. They are taking full advantage of their time on the Truro Park and Ride. Remember you never know when its your turn and you never wish it will, but it could. You may be surprised as to how many missions this little helicopter flies, over 800 a year. 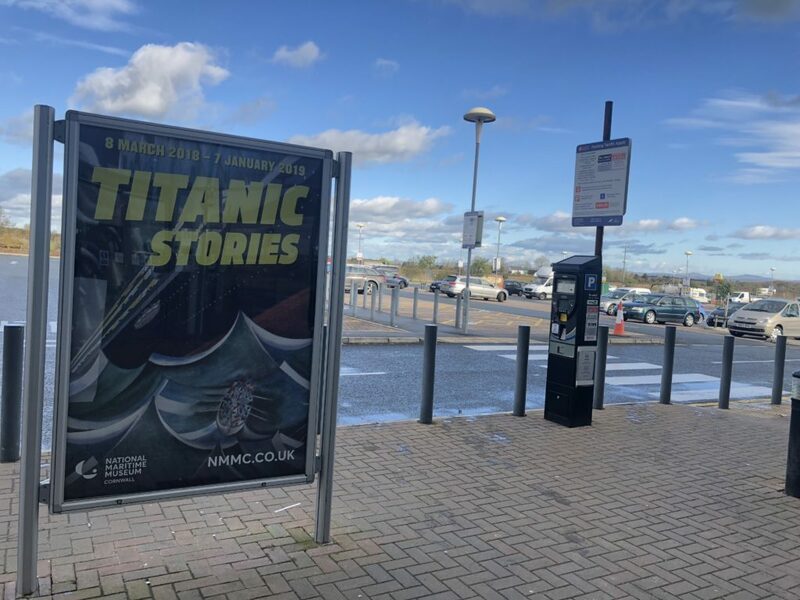 This morning saw the return of the Titanic Stories 6 SHEET Poster to the Cornwall Services Site. Do visit the National Maritime Museum Cornwall in Falmouth to take in some truly Titanic Stories. One of the most globally talked about events in history. Focusing on the remarkably rapid commercialisation of the disaster, the exhibition also offers an in-depth exploration of the tragic event’s quick rise in status to one of the most globally talked about and commodified events in history, from how the news initially broke and was reported by international media (a subject of early ‘fake news’ stories), to the first souvenir postcards produced days after the sinking, the books written and film adaptations made within weeks, and the commemorative music and memorials, as well as more contemporary ephemera and artefacts following the wreck’s discovery in September 1985. 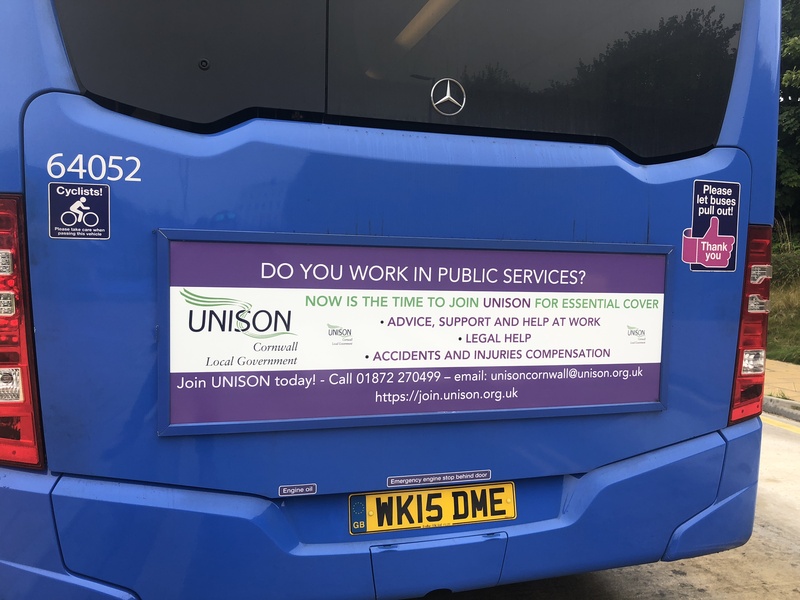 Alongside documentary and personal photographs, letters, newspaper cuttings, compelling items such as a handkerchief waved from a lifeboat and a First-Class passenger list found in the pocket of a victim, are on display. Saving More Time. Saving More Lives…..
Join the mission to raise £2.5m to bring a next generation air ambulance helicopter to Cornwall and the Isles of Scilly by 1 April 2020 – a medically advanced, faster, better equipped aircraft that will save more time and more lives for the next 20 years. What if your life was in danger? 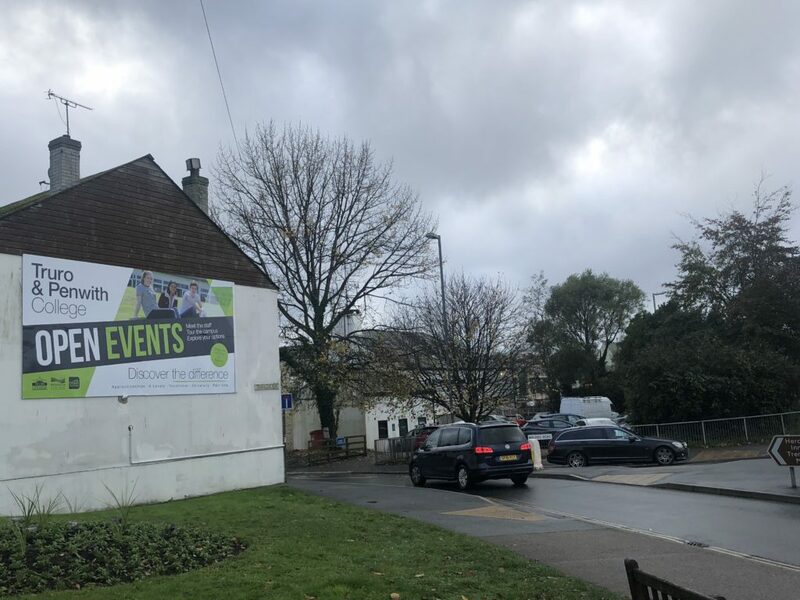 Miss Gabriel Weston (Surgeon & TV presenter) took time out from her busy life to inspire the world, tell our story & share just how important our #NewHeliAppeal is to everyone – not just here in Cornwall, but to anyone who may at some time need our support: you, your family, your friends visiting from afar. All of us. 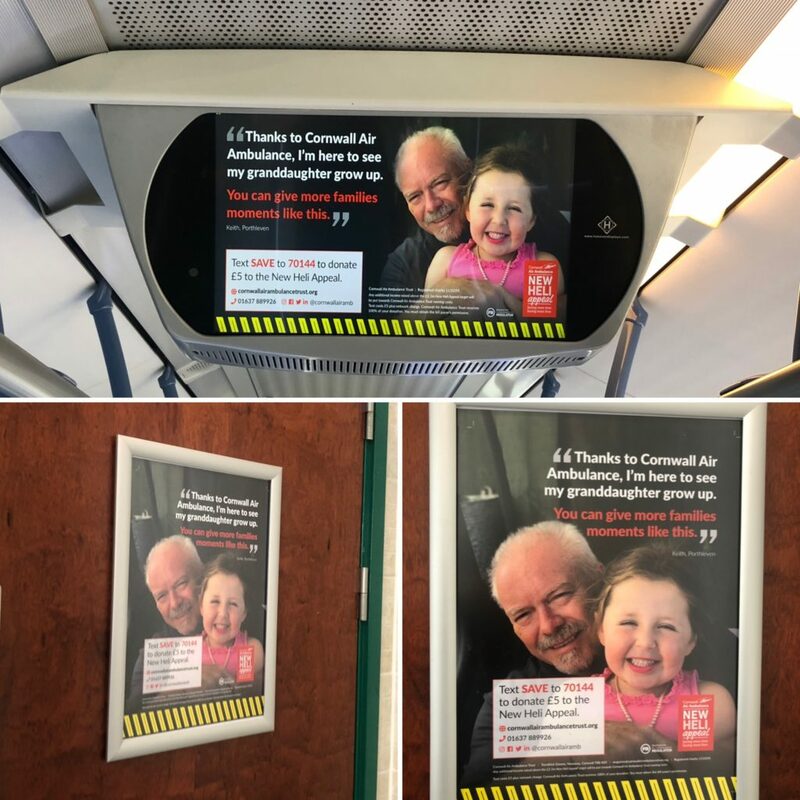 Cornwall Air Ambulance Trust Ambassador Ed Abrahamson, Consultant in Paediatric Emergency Medicine, enabled this film to become a reality to support our life-changing appeal. 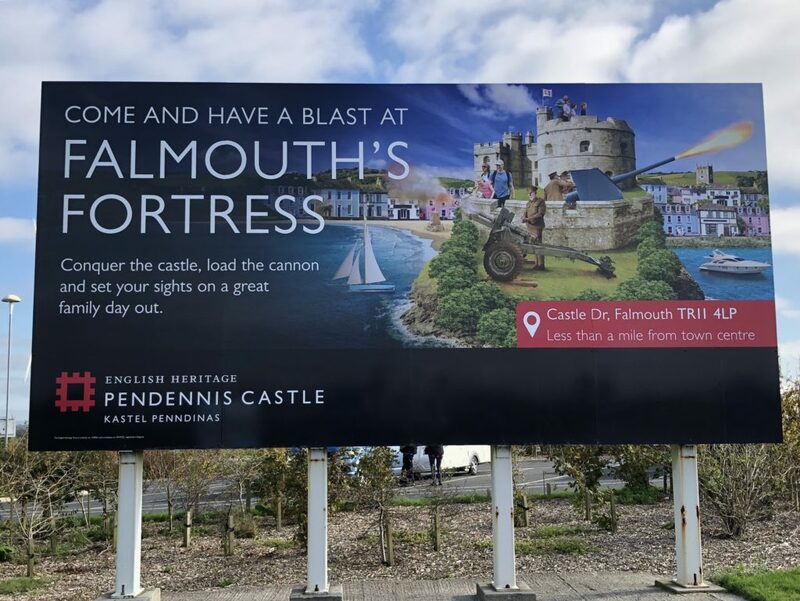 English Heritage showcase Pendennis Castle on their 48 Sheet billboard at Cornwall Services. Explore one of Henry VIII’s finest coastal fortresses, Pendennis Castle, which has defended Cornwall against foreign invasion since Tudor times. … Visit their fascinating exhibition, ‘Fortress Falmouth and the First World War’, which examines the role the castle played during WWI. 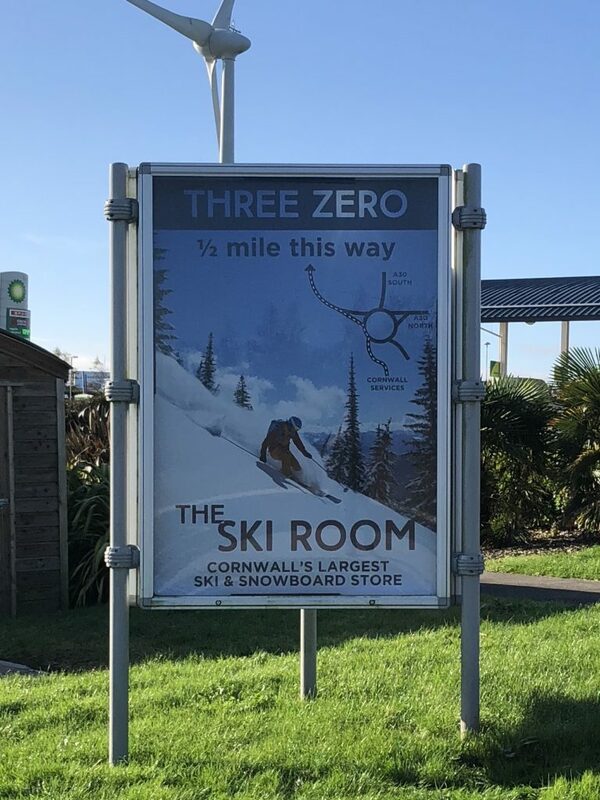 We welcome The Ski Room from Roche to the Cornwall Services Site. 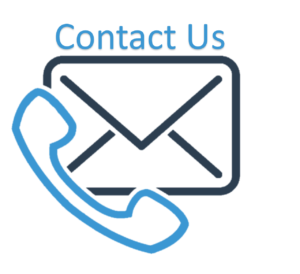 They have a huge selection of ski ware and snowboard equipment, in fact its Cornwalls largest store. So if you are hitting the slopes this winter don’t delay get yourself along to The Ski Room! 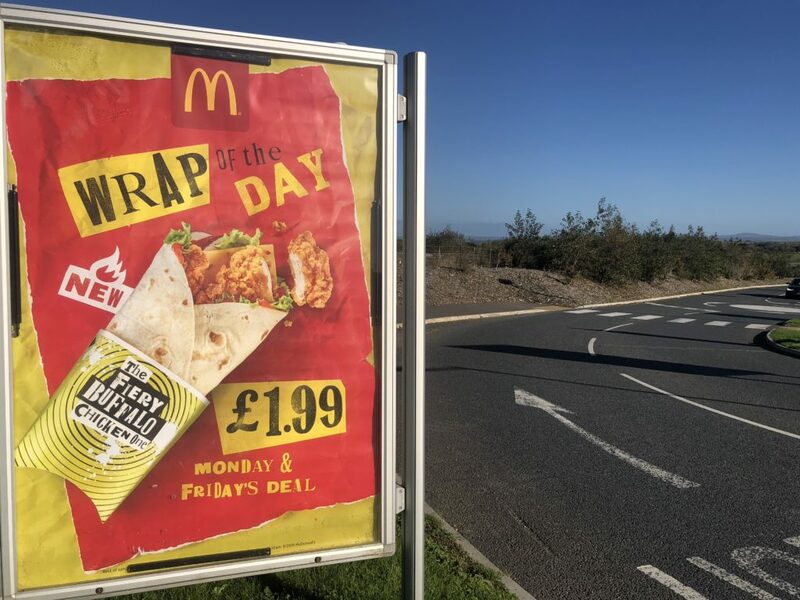 McDonalds have launched their Wrap of the Day with a 6 sheet poster frame at the Cornwall Services. 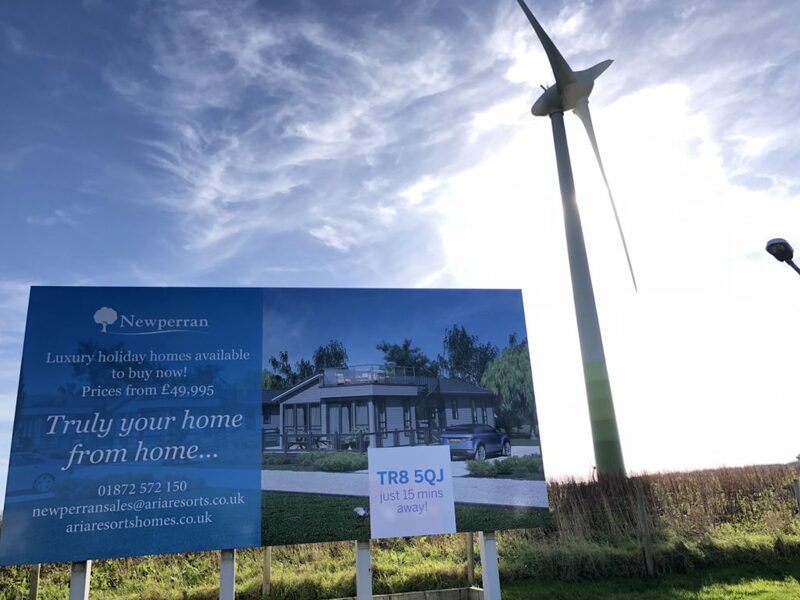 They have the perfect spot catching traffic as it enters the site tempting clients with their very special offers. 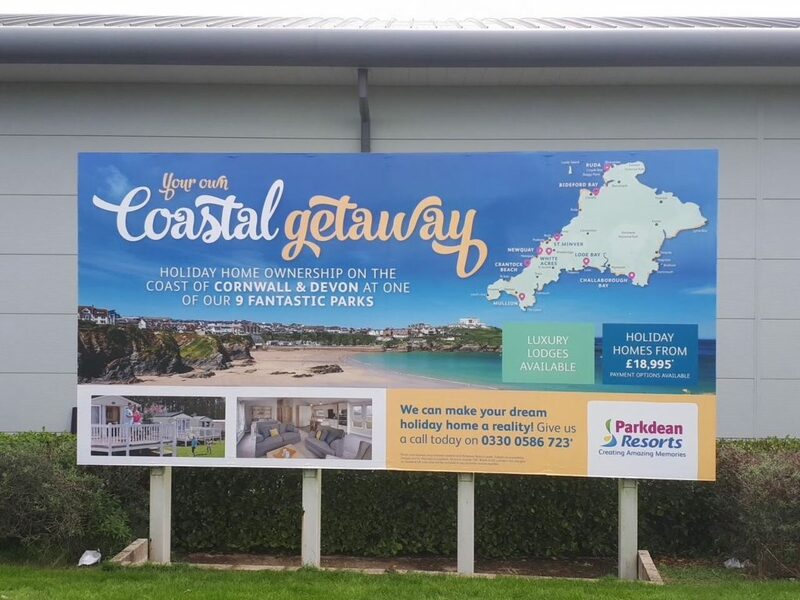 Parkdean Resorts recently changed their artwork with us on the Cornwall Services Billboard. 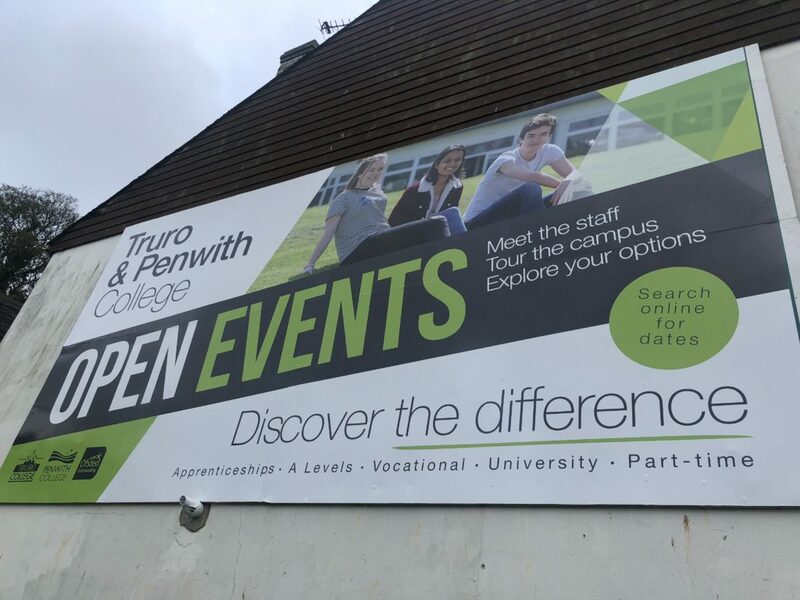 I think you will agree its a great looking advert that is sure to attract your attention when visiting the service station on your travels. It really does capture the imagination about Cornwall and what a wonderful location Cornwall is to visit.